KARACHI: There is growing pressure from the Supreme Court of Pakistan to remove encroachments from all parkland, market centres and roads of the city. The new directives in particular have clearly included all parkland to be clear of any kind of encroachment and construction so that urban forests can be established for the public and to help the environment. 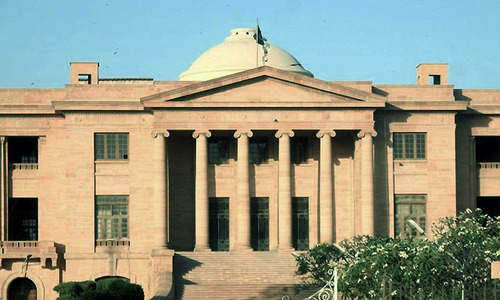 However, Akbar Laghari, Secretary Culture, Tourism and Antiquities, told Dawn that Karachi’s National Museum of Pakistan was in danger of being lost if these directives were carried out immediately; the iconic building was constructed in Burnes Garden back in 1970 under the directives of the government, and the SC ordered it must be demolished. The Burnes Garden where the National Museum currently stands was also spoken about, apart from other parks in the city. “We have been asked to shift the artefacts and antiquities housed at the National Museum to another venue and demolish the building, along with other constructions situated on Burnes Garden,” said Mr Laghari. According to Mr Laghari, the SC has directed that these encroachments be removed as soon as possible. However, he said, with regard to the National Museum there needs to be some groundwork before this can be carried out. “I have written to the chief secretary and identified some places where we can shift. If we cannot be given any of these buildings then we will have to construct a new museum,” he said. The other option he put forth was the Mitha Ram Hostel. “The hostel is being used as a sub-jail by the Rangers. The Rangers can be given another place to move and if the museum is established on the premises that would be welcome. The third option could be to take up the PTI’s claim of using governor houses as public spaces. If this is something that the future government plans to follow through with, then the National Museum can be shifted to Governor House,” he added. Mr Laghari added that Justice Ahmed also spoke about the construction of shops on the beach which had spoiled the view and ordered them to be taken down.